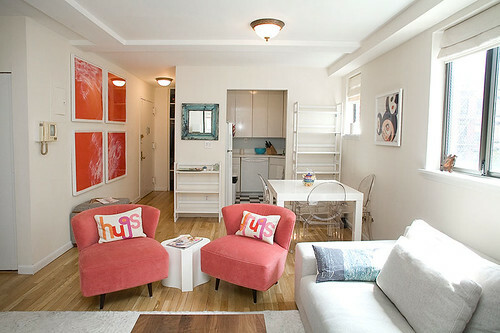 How's this for a small space: white walls, white Parsons table, Kartell Louis ghost chairs, a neutral sofa and rug, and then -- pink midcentury slipper chairs! Plus that fab art, of course. 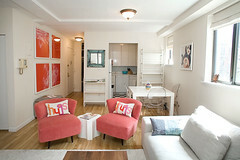 One-bedroom NoLIta apartment photographed by Donna Alberico for the New York Times.